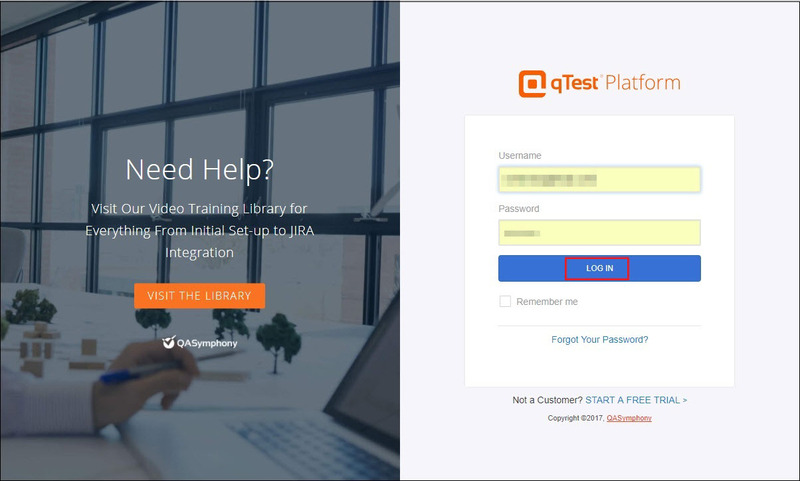 qTest is a Test management Tool which has now been integrated with OpKey Web. It empowers OpKey Web users to manage their Test Cases in an efficient way. 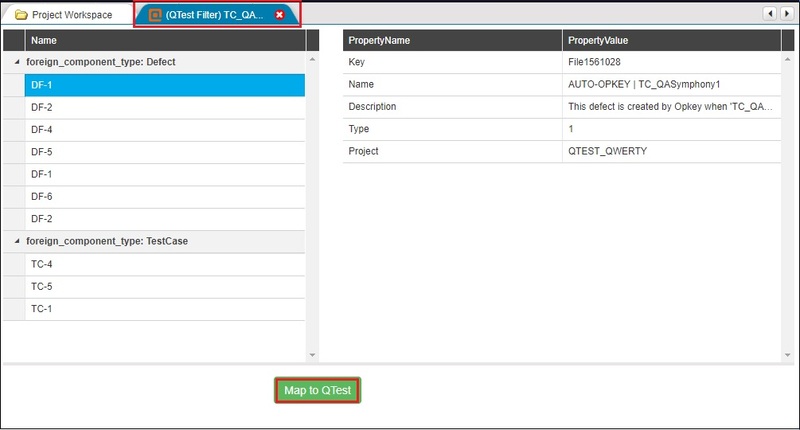 By using qTest Manager, you can map your project artifacts to log new defects, create Test Case etc. 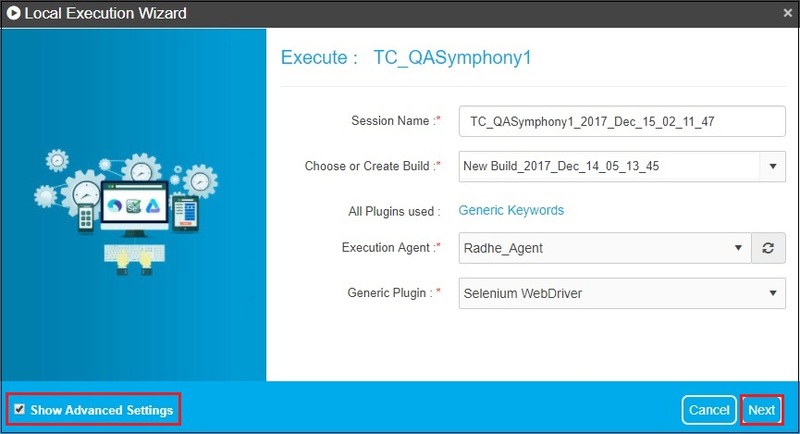 Before configuring qTest Manager with OpKey Web, make sure that you have your registered account on QASymphony for qTest. 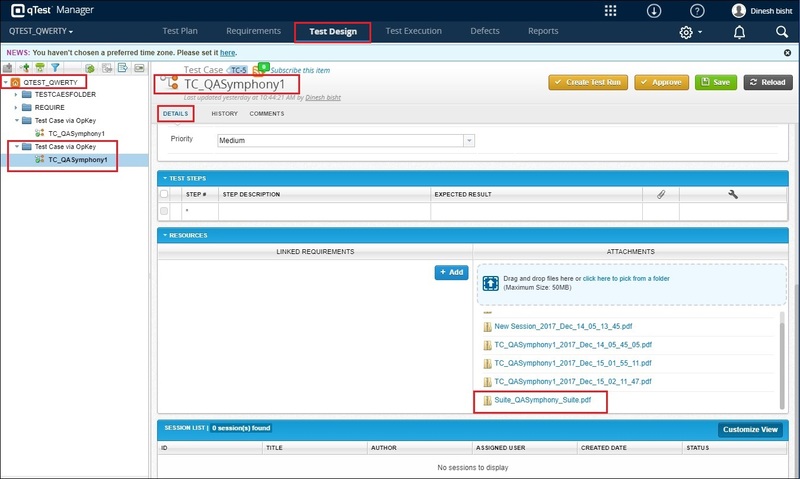 Once configuration is done successfully, you can execute your test script and log defect on qTest. Let us login on your qTest domain and then create a new project to work upon it. However, you can work on the default project. Open your registered Domain Name on browser and login with your valid credentials. Let us create a new Project. Go to the Profile link showing on the right upper side & click on Administration. Here, you can view some earlier created projects. Let us create a new project. Click on Add new project. 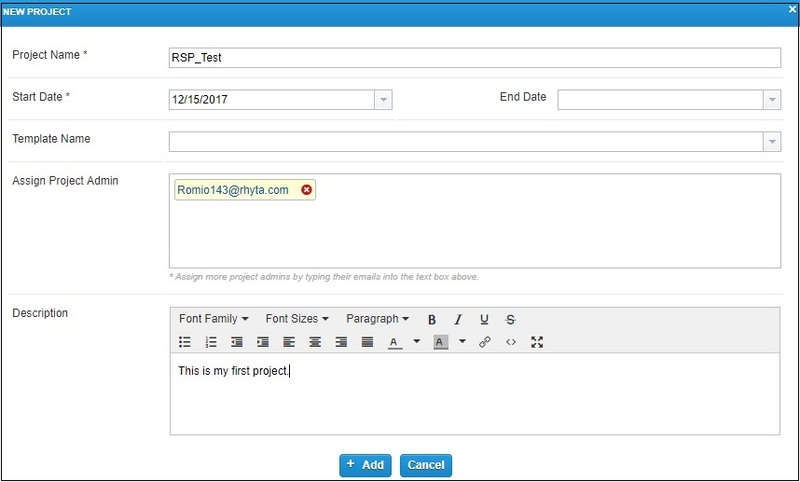 Fill all required fields and click Add to create the new project. A popup message appears that ‘The project has been successfully created!’ Click OK to proceed. You can view your newly created project in the list. Let us map the project(s) with qTest to log defects & do more. 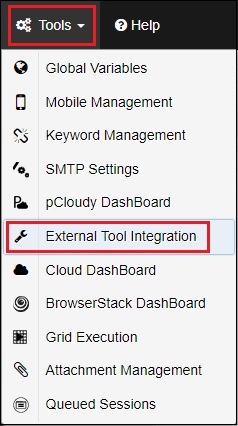 Go to the Tools menu and click on External Tool Integration. Check qTest Extension with OpKey checkbox and click on Configure icon. qTest Settings page opens. Enter URL, Username & Password & click on Login. Select your project(s) and check Log New Defects on Failure checkbox. Click on Save. There are two major scenarios which can be followed by the OpKey Web users while working on qTest. (I) OpKey creates Test Case in qTest with the name of OpKey Test Case under default module named Test Case via OpKey (if doesn’t exist). (II) OpKey creates Test Cycle in qTest with the name of OpKey session, Test Suite with default name OpKey Auto Suite and Test runs with the name of OpKey Test Case. (I) OpKey creates Test Case in qTest with a name of OpKey Test Case under default module named Test Case via OpKey (if doesn’t exist). (II) OpKey creates Test Cycle in qTest with a name of OpKey Session, Test Suite with name of Suite and Test Runs with the name of OpKey Test Case. (I) OpKey creates Test Cycle in qTest with the name of OpKey session, Test Suite with the name OpKey Auto Suite and Test Run with the name of mapped Test Case. (I) OpKey creates Test Cycle in qTest with a name of OpKey session, Test Suite with the name of suite and Test Runs with the name of mapped Test Case. 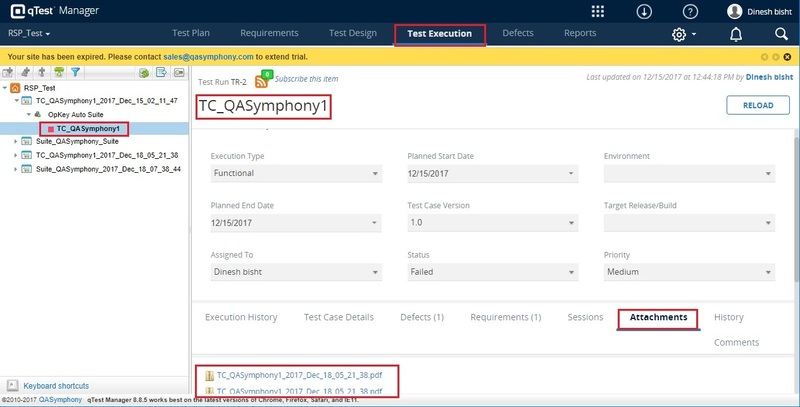 (II) Let us execute a Test Case (which get Fail) & see how to log a defect in qTest when qTest Requirements and Test Cases are Not Mapped with OpKey. Let us execute a Test Case (which get Fail) & see how to log a defect in qTest when qTest Requirements and Test Cases are Not Mapped with OpKey. 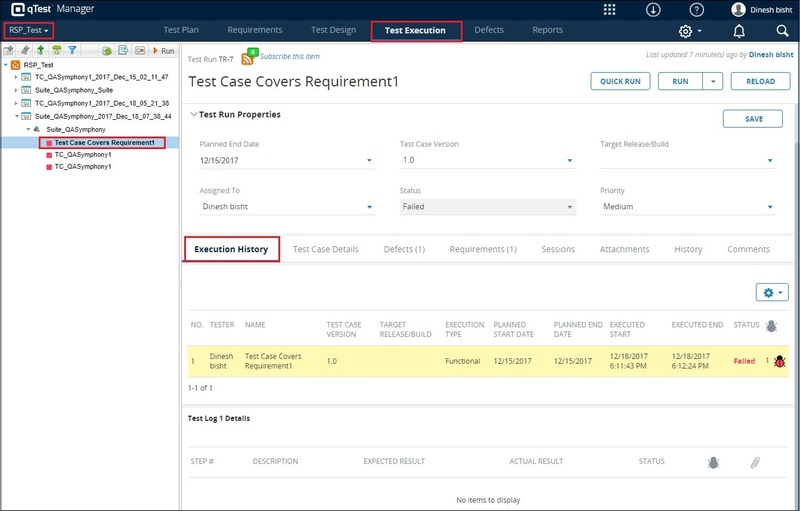 Click on Run Now (F5) button to execute this Test Case. 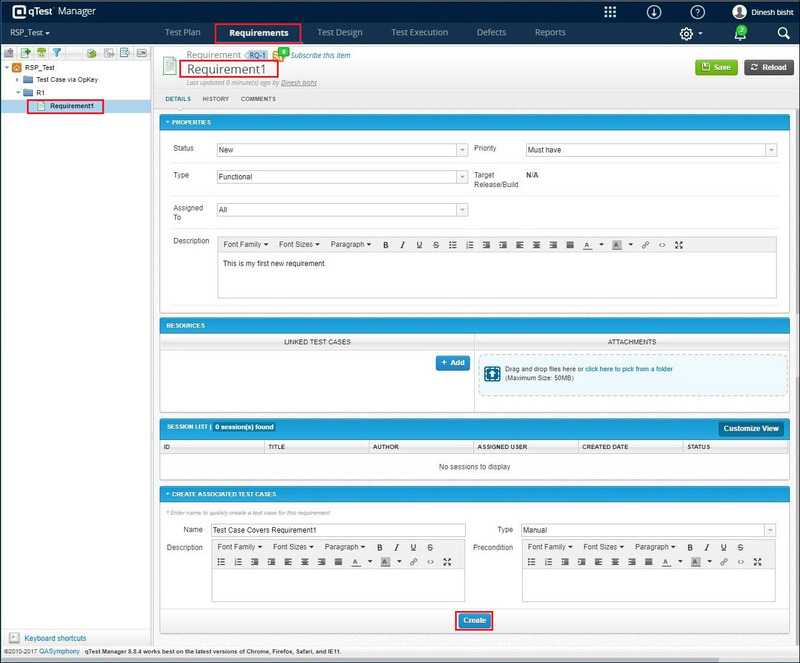 Fill all required fields in Local Execution Wizard, check Show Advanced Settings & click Next. Apply Advanced Execution Settings. 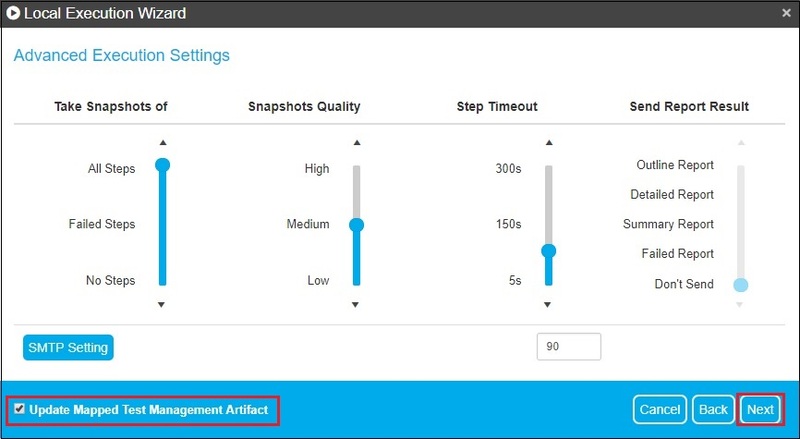 Check Update Mapped Test Management Artifact checkbox. You can check Remember Me checkbox. Click Next. 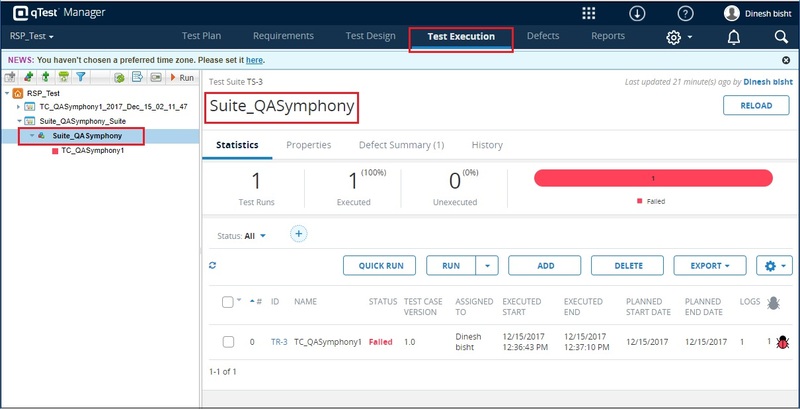 You can add Session Tags from here which would help you to find out this Test execution session quickly and easily. Click Next to proceed. You can apply a Global Variable from here which will replace your corresponding Data Input Argument value during the Test Execution. Click on Finish to begin test execution process. 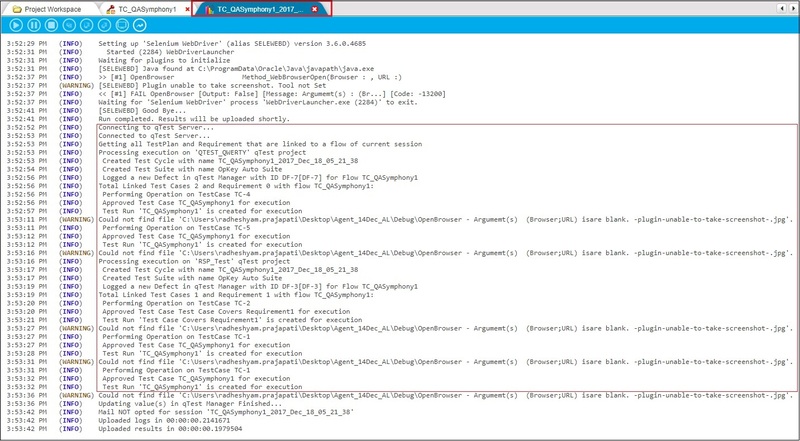 Here, you can view Test Execution Logs which describes the execution in details. 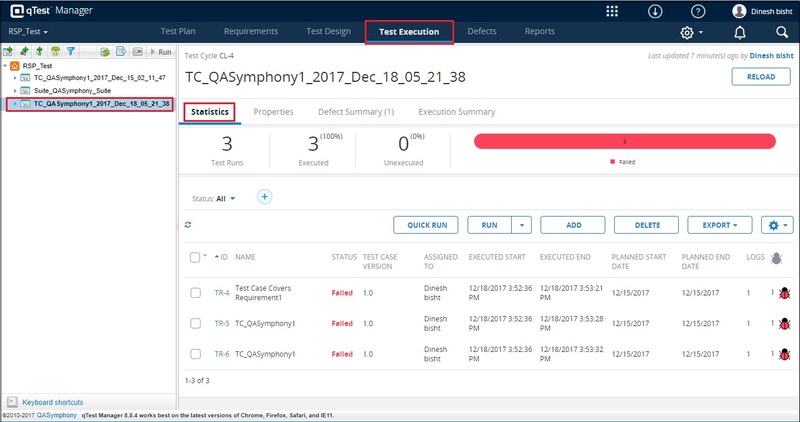 You can have a look at the Test Execution result which get Failed & logged defect(s) in the qTest. OpKey has created a Test Case in the mapped qTest project(s) with the name of OpKey Test Case under default module named Test Case via OpKey. Here, you can view the created Test Case in first mapped project. Here, you can view that the mapped project contains a Test Run which get executed 100%. 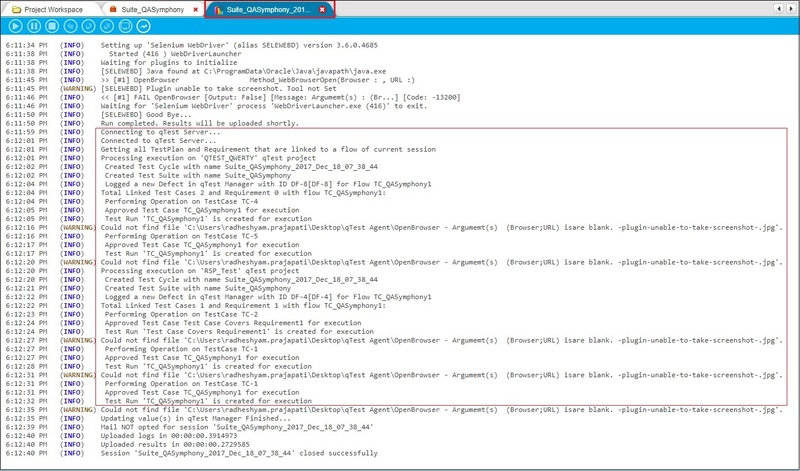 There are three artifacts made: Test Cycle, Test Suite & Test Run. A Test Cycle has been created in qTest with the name of OpKey Execution Session. It contains different information (Statistics, Properties, Defect Summary & Execution Summary) about the created Test Cycle. A Test Suite with default name Auto Suite (OpKey Auto Suite) has been created in qTest. 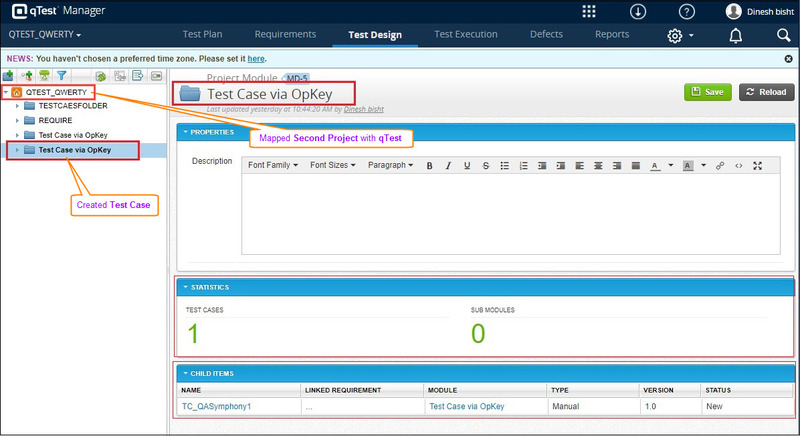 A Test Run with the Test Case name (OpKey Test Case) has been created in qTest. Let us see second scenario in which Test Case is executed with Suite. Click on Run Now to execute this Suite. Test Case Attachment contains execution information. Go to the Attachment tab and click on the attachment file to download and view it. Open downloaded attachment file to view details. Note: Follow the same local execution steps like executing Test Case, as described above. 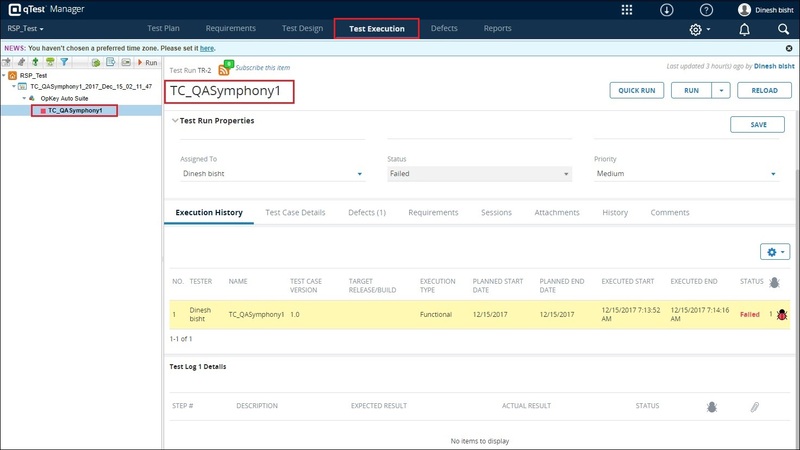 Once execution process has completed, you can view the complete execution logs as shown below. You can view Suite execution result. The existing Test Case has been updated on the first mapped qTest project. Similarly, another existing Test Case has been updated on the another mapped qTest project. Here, you can view the summary of the the mapped qTest project. It is showing that 2 Test Runs has been created 100%. Similarly, you can view the summary of another mapped qTest project. A Test Cycle with OpKey Session name has been created. A Test Suite with Suite name has been created. A Test Run with Test Case name has been created. Let us execute a Test Case (which get Fail) & see how to log a defect in qTest when qTest Requirements and Test Cases are Mapped with OpKey. 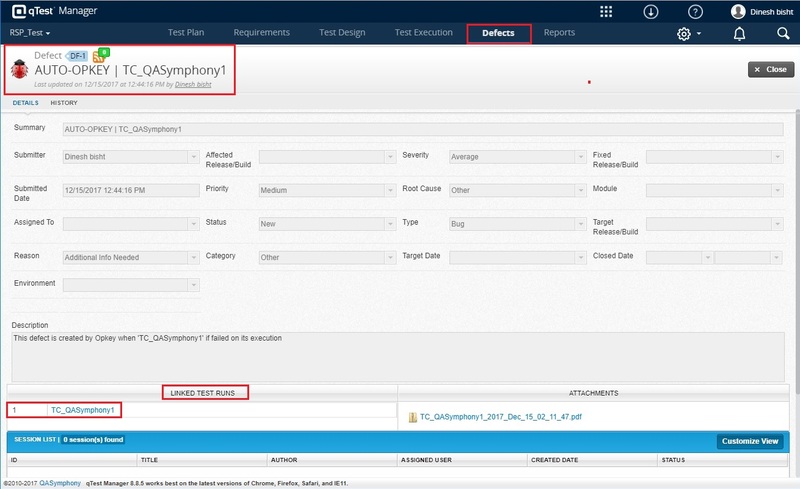 Right click on the Test Case and select qTest Mapping option. Note: If you are trying to map your Requirement(s) then make sure that you have created Requirement(s). Let us see how to create Requirement. Go to the Requirement section and click on New Requirement ( ) icon to create it. 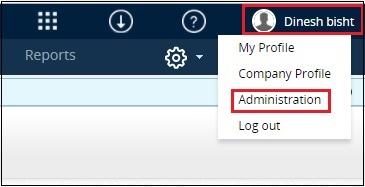 Fill all required fields and click on Create. Let us add Test Case(s) & map Requirement with the Test Case(s). Go to the Resources section and click Add & add Test Cases. 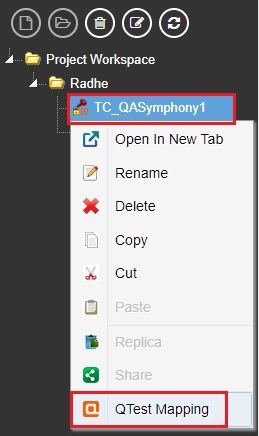 Once created Requirement is mapped with Test Cases, click on Save. After clicking on qTest Mapping over qTest Filter page, qTest Filter page opens in expanded view. 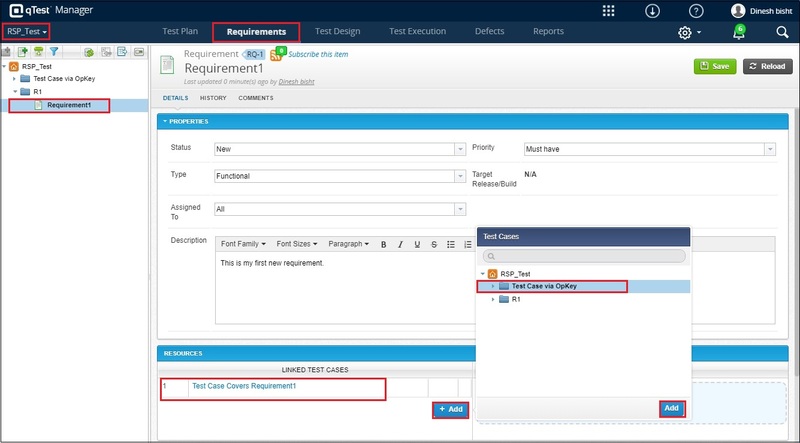 Here, you can filter Requirements and Test Case of the selected project. There are various fields (Issue Name, Status, Priority, Type, Assigned To & Module) based on which you can filter your Requirements & Test Case. 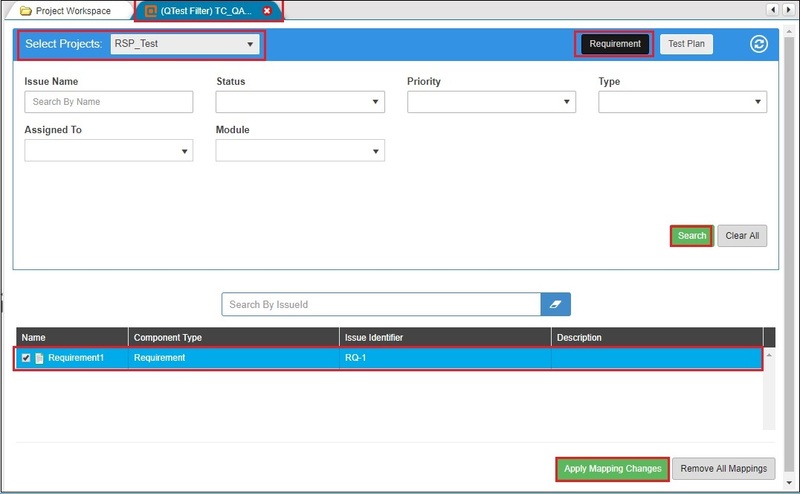 Select your Project from the dropdown, select Requirement or Test Case, fill desired filter fields and click Search. (Here, we have searched Requirements). Select filtered Requirements shown in the search result and click Apply Mapping Changes. 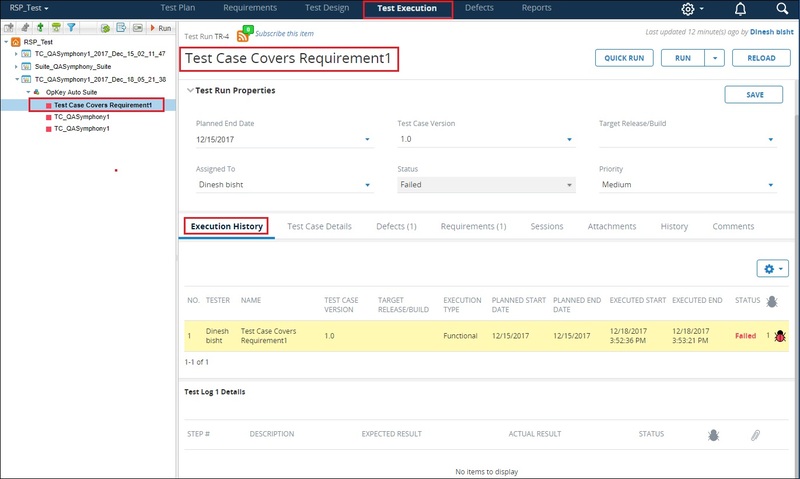 Once Requirements has been successfully mapped with your Test Case, you get a message that All Mapping Successfully Saved. Execute the mapped Test Case. 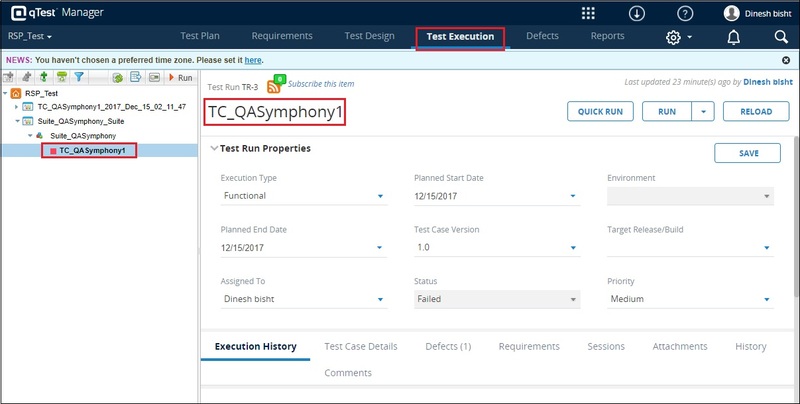 Once, the execution process has completed, you can have a look at the Execution Logs which describes about all the actions performed during the test execution. Let us add Test Case within a Suite and then execute the Suite. Click Run Now to execute this Suite. Once, the execution process has completed, you can have a look at the Execution Logs which describes about all the actions performed during the test execution. OpKey created a Test Cycle with the name of OpKey Execution Session. You can view details under the Statistics tab. 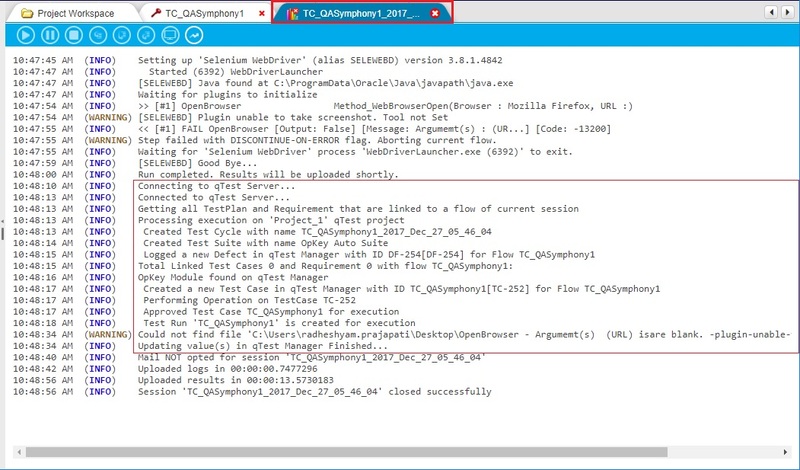 OpKey created a Test Suite under the Test Cycle with the name of executed Suite. 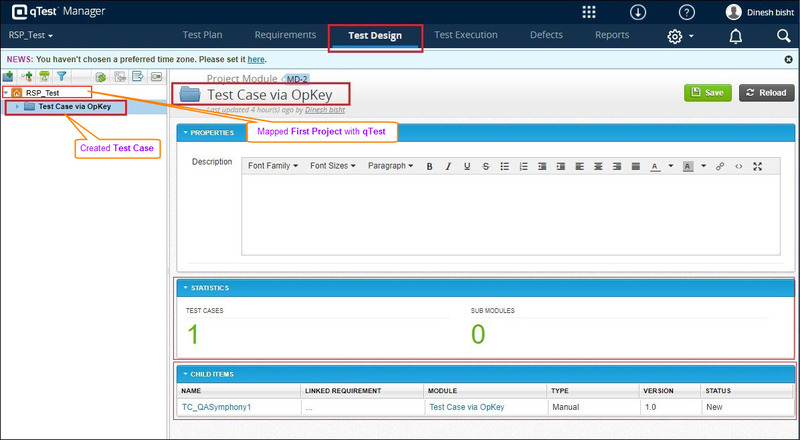 OpKey created Test Runs under the Test Suites with the name of Mapped Test Case(s). 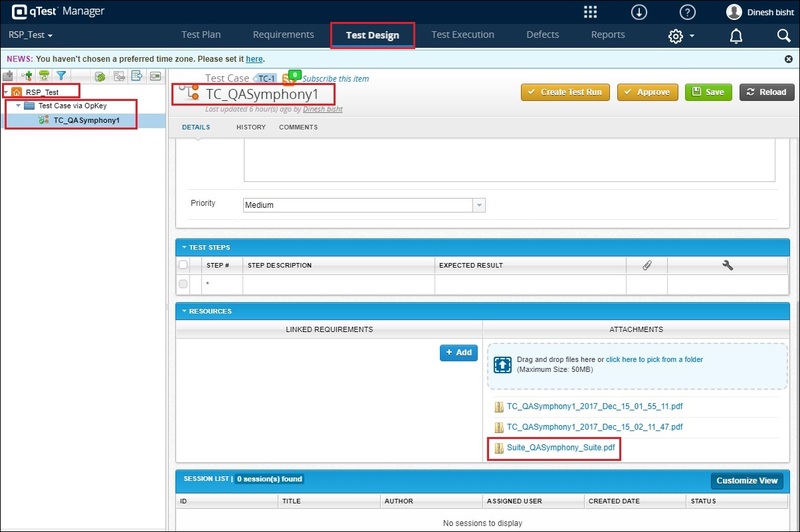 You can view the linked Test Case(s) with the logged defect. Whatever is the result of OpKey Test Case, it’s the status of Test Run in qTest Manager. 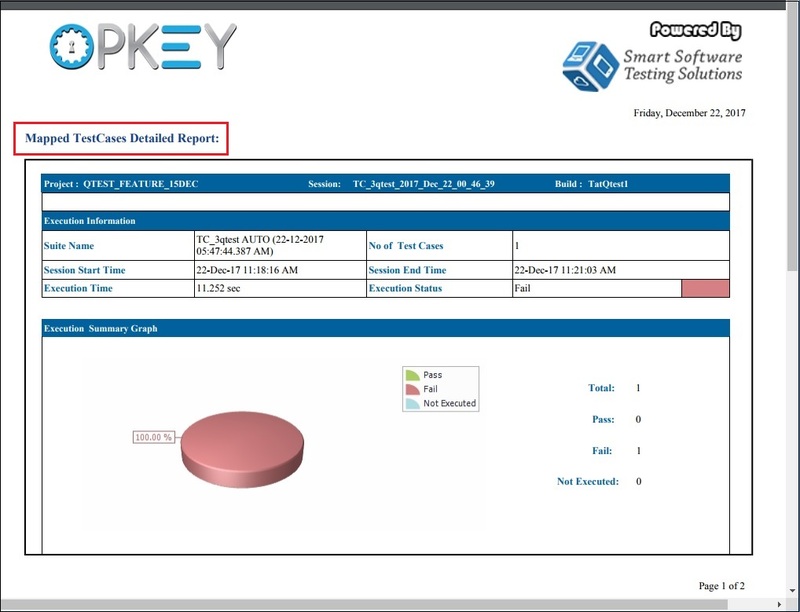 Test Case in qTest Manager can be attached with OpKey Execution Report in pdf format up to 50MB. If execution status of OpKey Test Case is Failed then OpKey logs a defect in qTest Manager and link it with related Test Case (qTest). If requirement (qTest) is mapped with OpKey test case then each test case of requirement is the part of the Test Run. Execution Start Date and execution end date is provided while executing the OpKey TC. If the artifact of a Project of Master database has been synced within a Project of the Slave database then the synced artifact cannot be re-synced within any project of the same Slave database.